Unisport is one of Europe’s leading online retailer of football boots, football shirts and other football equipment. Besides selling football gear, Unisport is also a global media destination for football related content with a community of 2M. followers on social media. Unisport is one of Europe’s leading online retailer of football boots, football shirts and other football equipment. Besides selling football gear, Unisport is also a global media destination for football related content with a community of 2 M followers on social media. Based in Copenhagen, Unisport has provided premium service to players and fans, across the globe, for more than 20 years. Besides a Flagship Store in central Copenhagen, Unisport offer local webshops in Denmark, Sweden, Norway, Finland, Netherlands, Germany, France, Austria - and serve football consumers across the globe through unisportstore.com. We are now looking for a skilled Junior Campaign Specialist to join our marketing team! In your role as our Junior Campaign Specialist you will be will be introduced to our systems and work process: planning, executing and reporting on all newsletter related activities across our nine markets. You will be part of our CRM team and collaborate closely with our Graphics team, the Product Management team, local content teams and in-house developers to maintain and develop our newsletter process and strategy. Your main KPI is to increase newsletter campaign revenue, click and open rates to ensure we continue to grow the total e-mail revenue. You will also be responsible for weekly email sales reporting. Email and CRM activities include marketing automation mails, transactional mails, direct marketing (letter/flyers), membership (advantage club) and other ad hoc tasks. We expect you to be highly motivated, and eager to keep up with the latest updates and email marketing trends and CRM practices, as well as turn insights from our marketing automation and analytical tools into actionable implementation. We require that you love to work as a part of a team, and that you are able to translate your ideas into hands on execution for all markets. We offer you a position in a company with great opportunities for professional growth - being part of one of the biggest marketing departments within e-commerce in Denmark, and with a big international focus. - Manage relations with stakeholders in a multicultural and multilingual environment including our local content teams. We don’t expect you to currently be a leading e-mail expert with several years of experience, but we need you to be an extremely quick learner, easy learner, ambitious and brave, so we can move you in that direction over the next couple of years. We will invest in your email and CRM passion, trust you to make the right decisions, and back you up to give you the resources you need to succeed. However, we have some formalities for this position listed below. 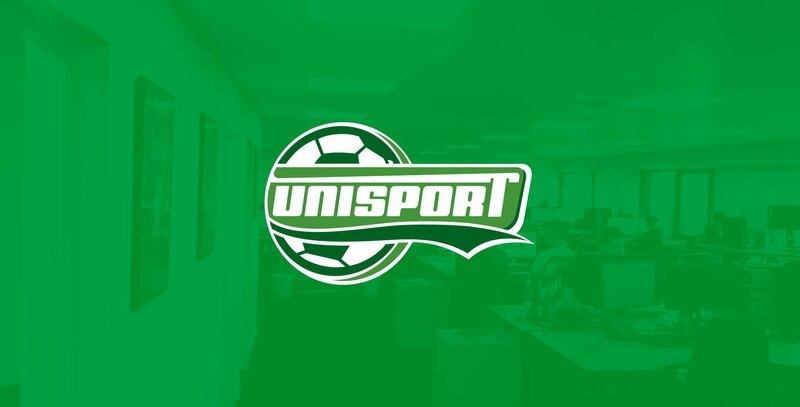 At Unisport you will take on a key position in a multiple award winning e-commerce company. We offer a young and dynamic culture, with a huge opportunity to write your own future. You will grow with the company, as we continue to strengthen our presence in current markets, and enter new ones. The position is full time and you will be working at our office at Bådehavnsgade 38 in Copenhagen together with highly motivated colleagues in our Marketing & Brand team. Apply for this position by sending your CV and cover letter to job@unisport.dk latest before the World Cup kicks off on 14 June 2018. We want our new Junior Campaign Specialist to start sooner rather than later. If you have any questions you are more than welcome to contact Frederikke Wulff Hald at fwh@unisport.dk or Klaus B. Johansen at kbj@unisport.dk. Please find more information about Unisport here!